On my last full day on Maui a few of us decided to try to catch the sunrise at Haleakala again, hopefully without the truck convoy (or the associated observatory construction protest) getting in our way this time. (See PJJ Maui (Part 2) for more details.) So we got up at 2 AM to drive to the summit for the festivities. Fortunately the trip was uneventful that morning and our quest was successful! It felt a little strange wearing pants and jackets and packing a bunch of blankets for anything in Hawaii, but it was worth it in the 40 deg weather at the top of Haleakala. And the sunrise was indeed beautiful. I didn’t get any good photos myself, but I loved seeing it in person. On our way back to the house we stopped at a French bakery that’s pretty much in the middle of nowhere and had an absolutely delicious breakfast of quiche and pastries. It was amazing. After that we spent the majority of our day swimming in the ocean and the mansion’s swimming pool. Ladies of leisure! Our numbers dwindled even more that afternoon/evening as more folks hopped flights back to their hometowns. 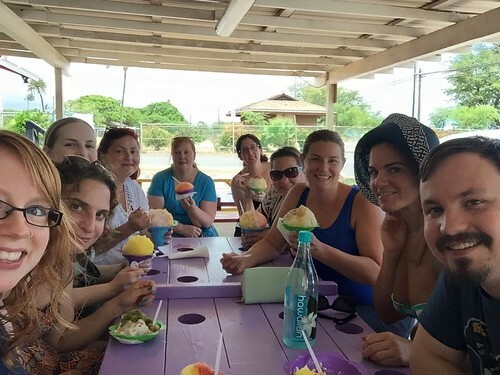 In conjunction with a few airport drop-offs that day we indulged in some Hawaiian shave ice, visited a sugar museum, and stopped briefly at McDonald’s to take pictures of their “Aloha” and “Mahalo” signs. We are classy broads. I reluctantly flew back to Los Angeles on the morning of the 28th, but I had a three-hour layover in Honolulu first. That gave me a chance to wander through all of the airport shops (and eat a terrible Burger King breakfast) and savor Hawaii for just a little bit longer. I was sad to get home that night. 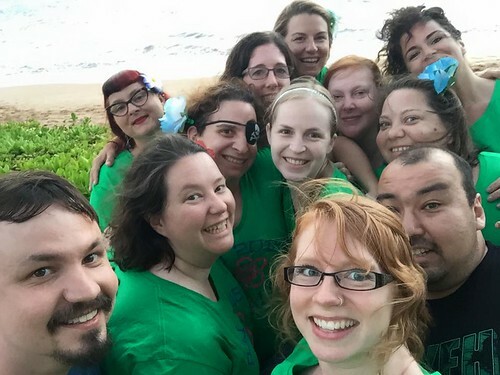 PJJ Maui had turned out so much better than I ever imagined. 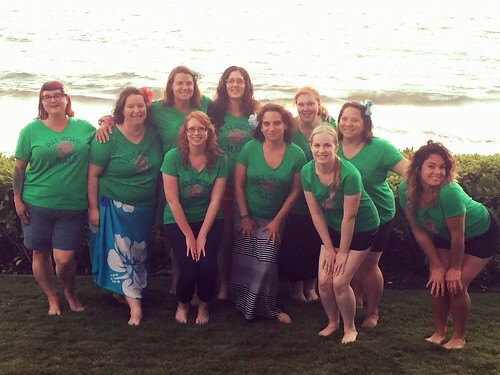 I loved spending time in a tropical paradise with such an amazing group of women. This was the sorority experience I should have had in college. Several of us made similar comments during the week. It’s rare that you find people that you connect with like that and by some miracle we had all met each other through a Craigslist wedding forum almost a decade ago. I don’t know how I got so lucky, but I’ll always be grateful.